As you are probably aware, there are many lovely places to reside in China. Due to it’s huge size, the country boasts a large array of different cultures, food and scenery, ranging from the hectic and chaotic cites to the much more relaxing coastal cities. If you are an English teacher in Asia, the hardest choice no doubt, is where to live? If you prefer the bigger cities, expect a busier lifestyle. Hectic traffic, tonnes of people, and a variety of restaurants and bars are open to anyone looking for the “go for it” lifestyle. Perhaps chilling out on a beach is more your thing? Then check out the smaller, or coastal cities. China has many places that accompany both lifestyles, and differ significantly between the two. As an English teacher in Asia, you may be presented with a whole range of places to live. ESL jobs in China are everywhere. Due to the millions of students wanting to further their studies of the English language, it is easy to see the current trend of E.S.L teachers flocking to mainland China. The schools are great, and the accomodation is excellent! The schools usually provide a fully furbished apartment, within walking distance or a short bus ride from the school. So what cities should i look at? Here are my top 7 favourite cities to live in, in China. From the warmer coastal cities to the colder climates of the North. 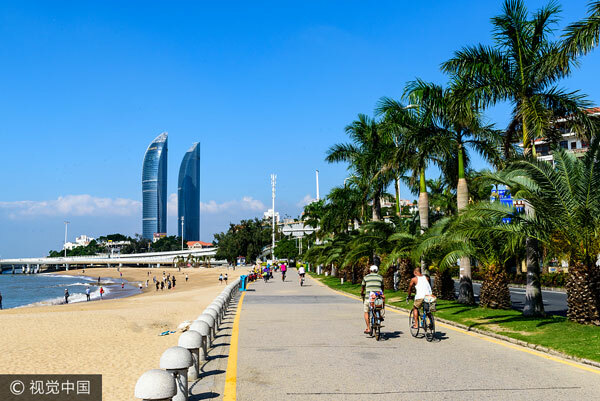 Xiamen is great for a laid back experience, hosting nice weather, and is known for it’s tasty seafood. This coastal city has a rich and dramatic history, and has been long known as a port city, opening up to the British trade in the 19th century. Xiamen (also known as Amoy) belongs to the Fujian Province of S.E China, and has a population of 3.5 million people. 2. 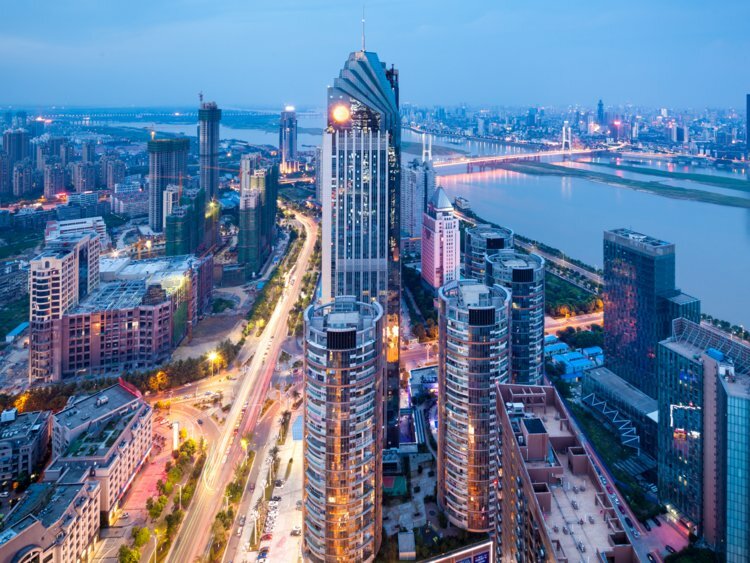 Shenzhen is a bustling modern city, boasting striking architecture and an abundance of parks, multiple popular tourist attractions, well designed tree lined streets, and an easy to use underground metro. Close to Hong Kong, it is a popular destination for business travellers and local tourists, and has been selected as the most liveable city (2007). Shenzhen is a coastal city located in Guangdong Province, in S.E China, and is home to 12.5 million people. are cooler with clear skies. A whopping 21.7 million people live here, making it hard to find a less hectic spot to relax. If you like the hustle and bustle, this is the place for you! 4. Shanghai is a beautiful, vibrant multi-cultural metropolis with a modern and traditional feel. Situated right in the middle of China’s eastern coastline, it provides an excellent sea port. The city is divided into two parts by the Huangpu River. One side named Puxi is the older part, and hosts the majority of shops restaurants, and tourist hotspots. Pudong is on the other side of the river, where high rises dominate the skyline, and has a more modern feel, and considered to be the business district. With a huge 24 million people living here, it is definitely one of the most thriving and bustling cities China has to offer. 5. Harbin has a populace of around 10 million residents, and is located in the the south of Heilongjiang Province, in the most northeastern part of China. 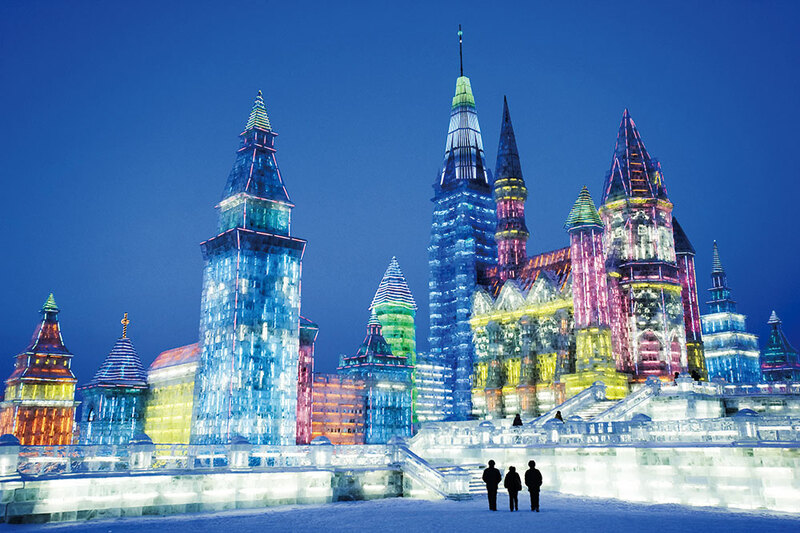 Also known as the ‘Ice City’, each year vast numbers of visitors flock to Harbin, for the Harbin Ice and Snow Festival. Winters are long and cold, usually lasting about 7 months. The capital city was once a fishing village, and has now involved into an industrial city. If you like the cold, Harbin is the perfect place! 6. 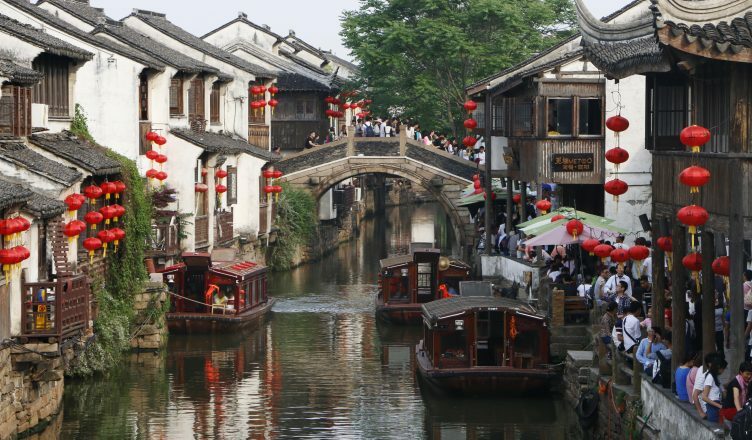 Suzhou is one of the top 20 most visited, and popular tourist cities in China. From the ancient gardens, and towns built on water canals, to the culture, music and theatre and tasty food, it’s easy to see why this picturesque city is a main attraction. Summers are sunny and warm, however it gets a bit cool during the gloomy winter months. Over 10 million locals live here, and enjoy mingling with the foreign tourists. 7. Chengdu is the famous historical and cultural capital of China’s Sichuan Province in S.E China, known for it’s spicy foods, and of course it’s cuddly Pandas. It has a thriving night life, but is far more chilled out than Beijing or Shanghai. Also known for its relaxing teahouse culture, historic sites, high end shopping centres, and luscious parklands, we can see why more and more people are flocking to this city each year. A modest 14.5 million people live in a lovely climate of a hot summer, a cooler autumn and a warm winter. If you are a teacher looking for ESL jobs in China, or already are an English teacher in Asia looking to relocate, I advise you take your time and research some cities for yourself before you embark. Some people say that travelling across China, is like travelling across multiple different countries. There are so many options for a variety of teaching types.